IIHT, established in the year 1993 is a leading IT training provider of Asia. We provide IT security courses in Kharghar & Navi Mumbai. 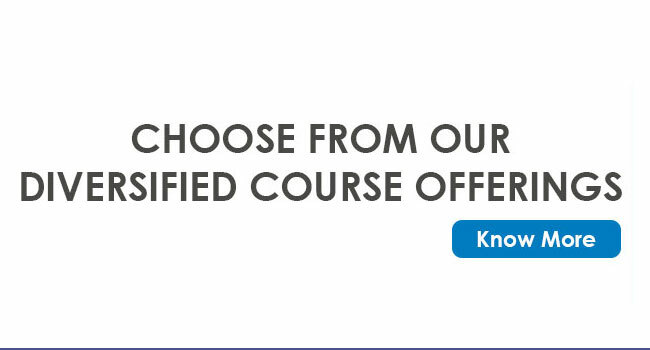 We also specialize in providing training services on hardware, networking, database management, CCNA, CCNP, Microsoft Certifications, MCSA, Red Hat Linux, Virtualization, security, Software Courses, DotNet, Java, Web Development, Cloud Computing (IAAS, SAAS) and many Career Courses like B.Sc-IMS, which will lead you to IT industry. We have catered our training services to some of the renowned Fortune 500 companies. Top IT Training Institute in Navi Mumbai Why IIHT Kharghar ? IIHT Kharghar, established in the year 1993 is a leading IT training provider of Asia. We provide IT security courses in Kharghar & Navi Mumbai, we also provide online security training, network security training, data security training. We specialize in providing training services on hardware, networking, database management, security and storage management, Software and Advanced technologies, data security training, network security training, online security training. We teach students and train them as an IT professional. Also, we help re-skilling them for better job performance. We have catered our training services to some of the renowned Fortune 500 companies. IIHT Kharghar specializes in providing training services & IT security courses on hardware, networking, database management, CCNA, CCNP, Microsoft Certifications, MCSA, Red Hat Linux, Virtualization, security, Software Courses, Dot Net, Java, Web Development, Cloud Computing (IAAS, SAAS) and many Career Courses like B.Sc.-IMS, which will lead you to IT industry. IT sector has grown like anything in this decade not only in the field of education in every field it has changed the methodology in the way work was performed. You must be continuously keep upgrading yourself otherwise your competitors will kick you out of this industry. IIHT Kharghar is a best amongst the other IT Training Institutes in Kharghar, we are here to help you we have our expertise they will train you with different possible methodologies and will provide you with the real-time learning experience. We as IT training Institute conglomerate IT courses with the real-time projects so that our students gets data security training, network security training, online security training knowledge and start a job in the IT field. We follow a unique platform to train our students, they not only learn the new technology to share the knowledge they work with the real time projects which will enhance their skill sets while they work on live projects in their future. 2. Advanced Hardware and Networking Course. 3. Cloud Computing Training Course. 4. Big Data Hadoop Training Course. 5. Red Hat Linux Course. 8. Diploma in dot net. 1. 100 % Placement assistance. 2. We have corporate expertise who trains you according to the industrial projects. 3. Unique Platform which helps you enhance your skill sets and sharpen you for career opportunities. 4. We help you develop programming skills by encouraging you to work on our live projects. IIHT Kharghar collaborated with Pinnacle Infotech and was established in Kharghar in 2012, and since then IIHT-Kharghar it operated successfully by delivering quality training by experienced trainers. We have successfully provided placements to freshers in companies who completed with our IT security course & training. We like to take this as a challenge and committed to doing so in future.